When all the sovereigns, princes, statesmen and commanders were received at court, the only members of the royal family who were – conspicuously – absent were the Princes of Wales and her daughter Princess Charlotte. Realising that this was a slight, the Tsar and his sister decided to go up to Connaught House and call on the Princess of Wales. But they were dissuaded by their Ambassador, who threatened to resign if they did – his wife was having an affair with Earl Grey at the time, and as a result he knew rather more than most people about the real nature of the Princess of Wales. The Tsar and his sister did have a chance to see the Princess of Wales, however. It was on the evening when all the royal guests went to the opera. The Prince Regent sat in the royal box with the Tsar of Russia, the King of Prussia and the Grand Duchess Catherine, and the other princes sat in the boxes on their left. As they entered to the strains of the national anthem, they saw that the Princess of Wales was standing in the box opposite. When the anthem was over, some of the young men in the stalls encouraged the audience to applaud the Princess of Wales. Her lady-in-waiting, Lady Charlotte Campbell, suggested that she should rise and acknowledge the applause with a curtsey. She was sure that her husband would think that the applause was for him. And sure enough she was right. The Prince Regent stood up and bowed to the audience in acknowledgement. At the end of the performance, the audience stood and applauded again as the Prince Regent and other sovereigns left. But they were applauding his guests, not him. When they had all gone, the audience turned and directed much warmer applause to the box where the Princess of Wales was still standing. This time she acknowledged it with three smiling curtsies. A few days later, however, at a breakfast party near Woolwich, she was seen sitting under a tree in the garden with a pot of strong beer on her knee. By the end of the party she was in a mood to be merry. She ordered all the doors in the house to be opened, grabbed a partner and set off at a gallop, calling to the other guests to follow her in flat-out procession through every room. It was not regarded as seemly conduct for a member of the royal family. Some of the gentlemen present had been among those who led the applause at the opera. After seeing their reaction to the latest spectacle, one of the ladies, the Hon. Amelia Murray, reported that, in her opinion, they would not be so anxious to clap the Princess again. 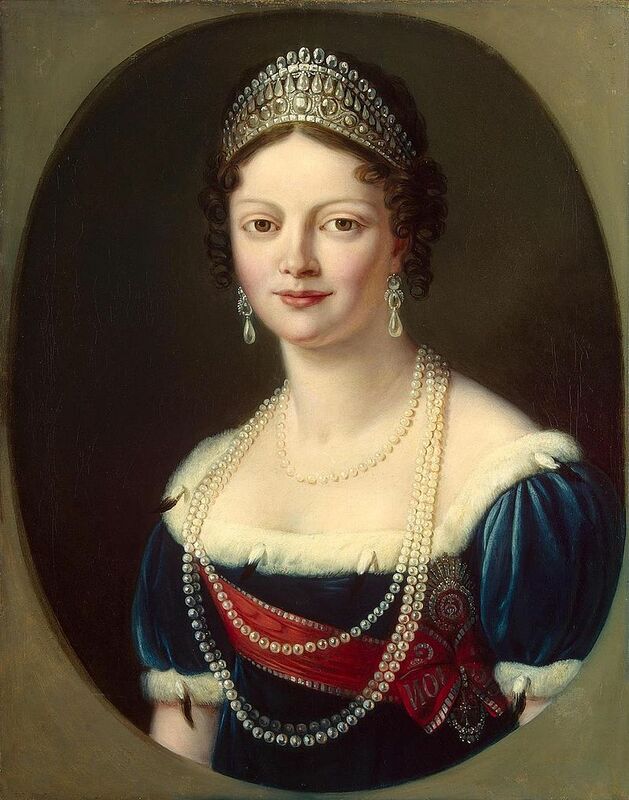 As soon as they were rid of Napoleon, all the European sovereigns were planning to come to England to celebrate their victory, and as a vanguard, or perhaps a reconnaissance, the Tsar’s favourite sister, the Grand Duchess Catherine, arrived while Napoleon was still at large. The clever and cultured Grand Duchess Catherine was dark and dignified with slavonic, slightly Mongolian features. At the age of twenty-five she was already a widow. 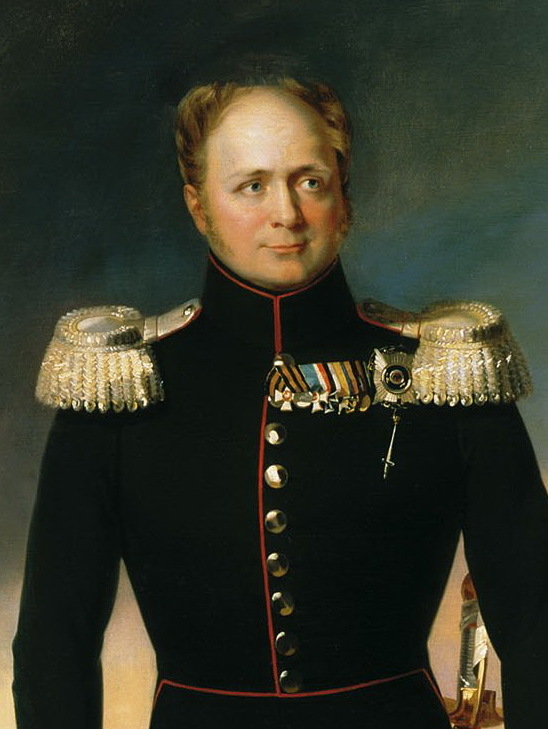 After nursing her husband, Prince George of Oldenberg, through his long, fatal illness, she went to neighbouring Holland, where she met Charlotte’s uncle William, the Duke of Clarence, who was there on a goodwill visit, and who was soon besotted with her. 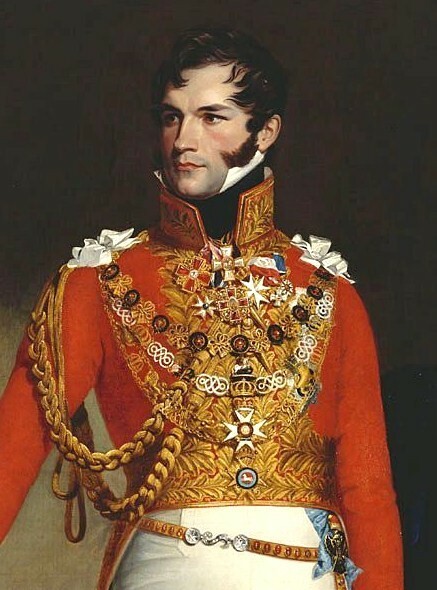 (…) When the Grand Duchess arrived in London, the Prince Regent went round to the hotel to welcome her. But he went much too early. She was still changing to receive him when a footman came to announce his arrival. The meeting was more embarrassing than cordial. After that dinner the Grand Duchess Catherine and Princess Charlotte visited each other often at the Pulteney Hotel and Warwick House – so often in fact that the Prince Regent sent Sir Henry Halford to Warwick House with an order for Miss Knight. She was to do all that she could to reduce the frequency of these meetings. It was an order that Miss Knight had neither the power nor the will to obey. She could cut down on Charlotte’s visits to the Pulteney Hotel, but she could do nothing to prevent the Grand Duchess from coming round to Warwick House – which was fortunate. Since the Regent was preventing his daughter from appearing anywhere in society other than at Carlton House, these visits were almost the only occasions on which the Princess and the Grand Duchess were able to meet. One evening at the dinner party given by Lord and Lady Liverpool, the Prince Regent sat with the Grand Duchess Catherine on his right and the Princess Lieven, wife of the Russian Ambassador, on his left. In the course of dinner the Grand Duchess turned to him. ‘My daughter is too young, Madame, to appear in society’, said the Prince. The Prince was clearly uncomfortable. ‘She will not be married for another two years’, he said. So far the conversation had been conducted in French. But now the Prince turned to the Princess Lieven and spoke in English, in rage, and loudly enough for everyone at the table to hear him. The Grand Duchess Catherine and Charlotte continued to meet, and the Grand Duchess was always as blunt with Charlotte as she had been with her father. She told her that she thought the Prince Regent was ‘a voluptuary’. And as for the Duke of Clarence, he was positively ‘vulgar’. While they were in Holland he had actually been so presumptuous as to propose to her. It was at one of these meetings, on 5 April, that Lord Bathurst called to inform Princess Charlotte that the allies had entered Paris. Four days later news came that Napoleon had abdicated. After her dismal sojourn at Lower Lodge she described herself as being ‘a great deal thinner’, but this did not last. 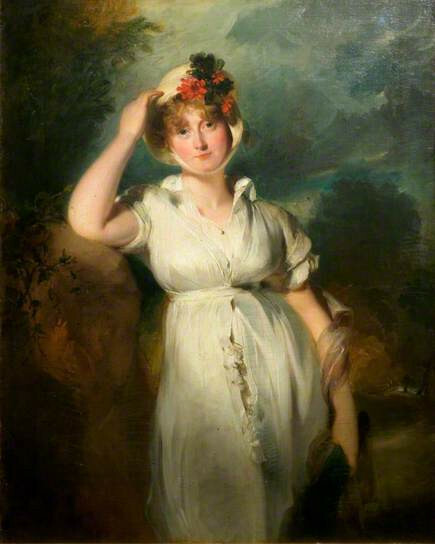 Lady Charlotte Bury, who had been a beauty and was critical, said that her figure was ‘of that full round shape which is now in its prime’, but added that the princess disfigured herself by having her bodices cut so short, which made her look as if she had no waist. Her legs and feet, she admitted, were very pretty; but ‘her Royal Highness knows that they are so, and wears extremely short petticoats’. This critical lady gave it as her opinion a few months later that ‘her figure is already gone, and will soon be precisely like her mother’s: in short, it is the very picture of her, and not in miniature. This was unkind, and inaccurate. 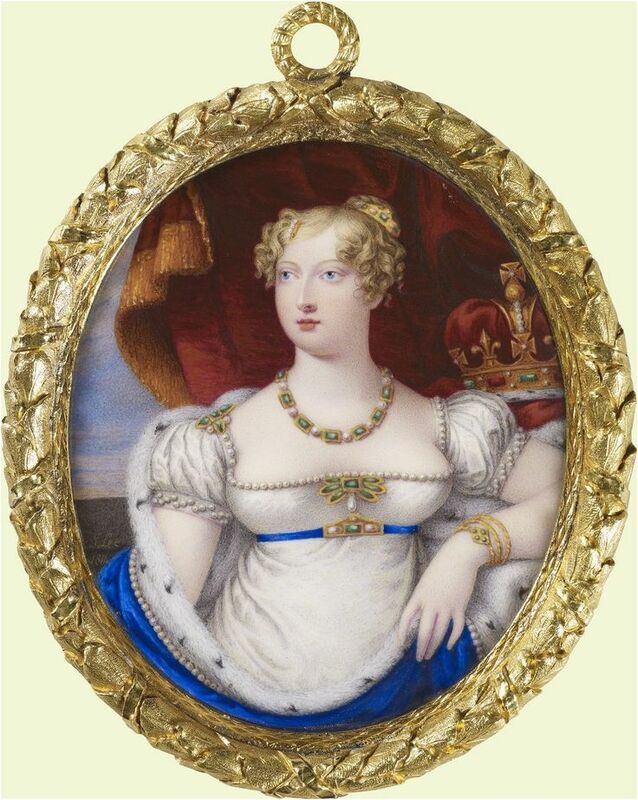 While the Princess of Wales had a large head, a short neck and a protuberant bosom, her daughter’s head was small and her neck long and graceful: she was broad-shouldered and full-breasted, but the upper part of her body was well-proportioned. Evidently, from another critical description, she was too broad in the beam. 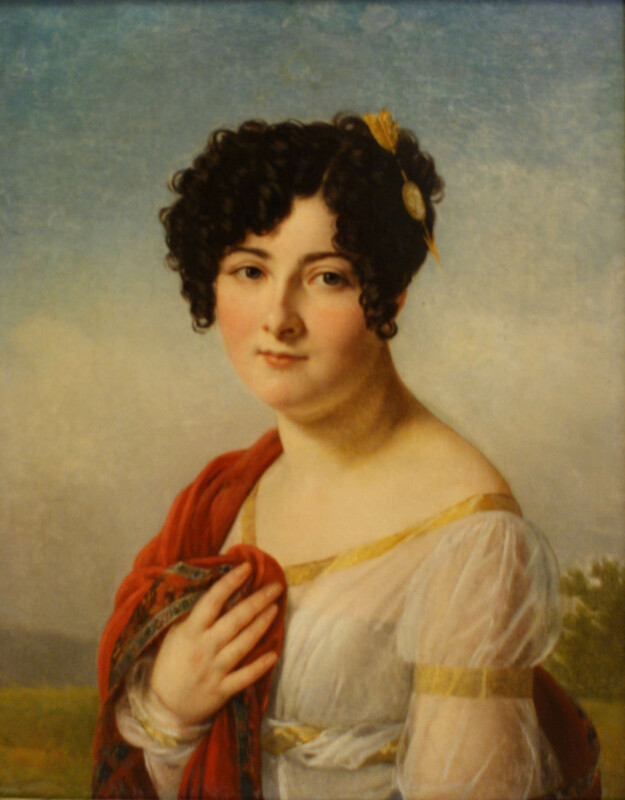 This account, written a year later by Catherine, Grand-Duchess of Oldenberg to her brother the Tsar, gives a very clear portrait of the young princess, whom she calls the most interesting member of the family. But the Duchess could not get over Charlotte’s manners. ‘So extraordinary that they take one’s breath away. I assure you I’m not exaggerating. She walks up to any man, young or old, especially to the older men, takes them by the hand, and shakes it with all her strength, and she seems to have plenty to spare. When she walks, she bounces, and steps with such vigour that one does not know where to look because her clothes are so tight-fitting and do not come down below the thick of the calf, so that at every motion it seems as tho’ she were going to show her knee. She looks like a boy, or rather a ragamuffin. I really am telling you nothing but the strictest truth. She is ravishing, and it is a crime to have allowed her to acquire such habits.